Construction Coordinators, Inc. (CCI) is a general contractor and construction manager operating in and around the Greater Boston area, specializing in commercial construction. Since 1991, clients such as Harvard, Simon Properties and Hyatt Hotels have trusted CCI for its expertise in complex project management and time-tested relationships with the most talented subcontractors. CCI’s specialization in both renovation and wholesale construction has led to recognition as one of the region’s top general contractors. We have a proven track record in industries as diverse as the academic, medical and corporate fields, and our team is both experienced and talented in every aspect of the build process. With over thirty years in the construction management field, Mark Fisher established CCI based on the tenets of providing tenants, residents and building owners with the benefits of superior communication, unparalleled client satisfaction and modern technology. Owing to Mark’s vision for high-quality business committed to safety, excellence and customer service, CCI has evolved into one of New England’s most trusted general contracting firms. An eleven-time AGC of America Safety Merit Award winner and with four appearances on the Inc. 500 list, CCI is committed to providing superior general contracting services for the area’s burgeoning commercial enterprises.ie. Construction Coordinators, Inc. provides a work environment free from unacceptable risks to health and safety. All employees and subcontractors are expected to help strive for this environment in every facet of their work. This means routinely training employees, conducting weekly toolbox meetings, wearing appropriate personal protective equipment, using fall protection when necessary and practicing all other safety-related items listed in the Safety and Health Handbook. Even more importantly, it means developing a safety-conscious attitude for the welfare and safety of all CCI employees and subcontractors to protect life, health, and property. Construction Coordinators has been recognized for its attention to safety. The Associated General Contractors of America has awarded CCI with its National AGC Safety Award Certificate of Commendation for ten years in a row. AGC’s safety awards are given to members who have a zero incident rate in the following divisions: Building, Highway, Heavy/Industrial, Municipal/Utilities and Associate/Specialty. "CCI was flexible, easy to work with entirely responsive. We got what we asked for – and then some." 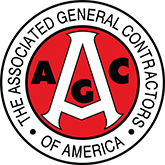 The Associated General Contractors of America, or AGC, is the leading national organization dedicated to the construction industry and its benefit to the public interest. One of the AGC’s top priorities is upholding safety standards throughout the country and recognizing those contractors that share a similar dedication to safety. CCI firmly believes that nothing is more important than safety on a worksite. The leadership realizes the responsibility they have to keep employees and clients safe, and to do everything possible to ensure the safety of everyone involved on a project. CCI is proud to have been successful in this endeavor for another year, and to have been recognized by the AGC for its efforts. The Inc. 5000 is a list published annually by Inc. Magazine showcasing the fastest growing private businesses in the nation. 2015 is CCI’s fourth appearance on the list and second in a row, following appearances in 1997, 2010, and 2014. In appearing on the list, CCI joins notable alumni such as Microsoft, Under Armour, and Patagonia and appears alongside household names like FitBit and Planet Fitness: good company, to be sure. CCI’s growth can largely be attributed to its dedication to quality, innovation, and safety. Furthermore, as a business reliant on relationships and word-of-mouth, landing on the Inc. 5000 is recognition of CCI’s commitment to customer satisfaction. As a family-owned business more than two decades old, CCI is especially proud to appear on the Inc. 5000, which is traditionally dominated by technology startups. Looking ahead, CCI hopes to continue to foster growth while maintaining high standards of safety and quality. It is a formula that has worked since CCI’s founding, and it undoubtedly will result in several more appearances on the Inc. 5000 in years to come. The Constructech Vision Award is awarded to businesses nationwide that utilize cutting-edge technology in the workplace. Past recipients of the award include the Home Depot, Petco, and Northwestern Medical School, and CCI is proud to be honored among such household names. CCI received the award for CCI’s work to simplify the financial side of the construction business. The company implemented a new payment management application, compiling all orders, contracts, and other financial documents into one place. This new approach forced subcontractors to organize in turn, streamlining the flow of financial information. The result reduced the time needed to organize and issue payments. As a result, the payment process became both easier and less time-consuming, speeding payments to subcontractors and saving dozens of hours spent searching for missing documents. In short, the transition was a huge success. CCI has always been committed to integrating the newest technologies, safety procedures, and techniques into their projects, and the 2015 Constructech Vision award is recognition of CCI’s strong commitment to technology. Construction Coordinators excels at improving the places where people eat, shop and earn their living. Our projects come in a variety of shapes and sizes, from month-long retail refreshes to six-month ground up restaurant shells. At CCI, you will build beautiful and vibrant spaces that excite and energize their communities. You will also conquer challenges and develop leadership and management skills at a rapid clip. You’ll have a chance to start fast, learn quickly and make an impact. As a member of the CCI team, you will be challenged and pushed to excellence, but you will also be given independence, hands-on work, and opportunities to hold responsibility. CCI offers a competitive salary based on experience. Excellent benefits, including health, dental, 401(k), short- and long-term disability, a convenient location and attractive office space, and a friendly challenging work environment. CCI is looking for driven, creative, intelligent employees who have a passion for building. We are looking for people who are interested in taking responsibility and driving projects to success. There are no minor roles, no minor participations, no minor accomplishments. Interested in a career creating and building with a growing company? If you are, we’re interested in talking to you. We are looking to hire a solid construction estimator to join our team. This estimator will calculate material quantity requirements; gather, prepare and maintain routine estimating data, quantity take-offs, bid packages, estimates, cost and value engineering. Prepare summary reports from pre-existing data as required. Degree in Engineering, Construction Management, Engineering + Management, Architecture, other related fields is preferred. We are looking to hire an experienced project manager to join our team. The primary job responsibility is to provide overall management direction for the project, including planning and scheduling activities, procurement of materials and subcontractors, cost control, contract and subcontract administration. Communicate with members of construction project team to ensure the success of the project. Plan, organize, and staff key field positions. Establish project objectives, policies, and procedures as well as performance standards. Control and monitor construction through the on-site superintendent to ensure that the project is built on schedule and within budget. Responsible for staffing, providing technical direction and employee development. Develop and implement project scheduling standards and procedures and monitor compliance. Manage all planning and scheduling activities including schedule development progress update reports, problem analysis activities. Responsible for maintaining input for schedules, cost reports, project accounting, estimates, document control and RFI/shop drawing logs. Prepare meeting agendas, attends project meetings, prepares and distributes minutes. Solicit and obtain quotes for vendor-supplied items and subcontracts in compliance with specifications. Summarize vendor bids based on price, delivery, quality and past performance. Prepare and issue subcontracts and subcontract change orders. Prepare and place purchase orders and purchase change orders. Handle third party rental agreements. Address and resolve invoicing problems. Prepare schedules, cost reports, project accounting, estimates, document control and RFI/shop drawing logs. Expedite the site delivery of materials and labor. Interact with subcontractors and vendors in order to address construction issues. Correct any material or equipment defects and monitors any warranty claims. Assemble closeout documentation in accordance with contract requirements. We are looking to hire an assistant project manager to join our team. The primary job responsibility is to assist the project manager with management of the project, including planning and scheduling activities, procurement of materials and subcontractors, cost control, contract and subcontract administration. Assist with communication between members of construction project team to ensure the success of the project. Assist with establishment of project objectives, policies, and procedures as well as performance standards. Coordinate construction through the on-site superintendent to ensure that the project is built on schedule and within budget. Assist with all planning and scheduling activities including schedule development progress update reports, problem analysis activities. Maintain input for schedules, cost reports, project accounting, estimates, document control and RFI/shop drawing logs. Assist with preparation and issuance of subcontracts and subcontract change orders. We are looking to hire a solid construction superintendent to join our team. The primary responsibility will be to manage a safe site, stay on top of plans and specs, work with clients and design teams, coordinate means and methods, manage the subs, document activity, and be the primary driver of successful projects. Mark is the founder and president of CCI. He was inspired to start the company after working for seven years at a company that constructed high-end retail spaces. Realizing that what he had learned at the company could be applied to a much larger variety of projects, he left the company to found CCI, which now specializes in a range of spaces from corporate to medical to academic. Over the past 25 years, he has built the company into a nationally-recognized general contracting company. Outside of CCI, Mark is very active in the local business community. He is a former board member of the Needham Community Council, a guest lecturer for the Arthur M. Blank Entrepreneurship Center at Babson College, a Director-for-Life at the Friends of Hebrew SeniorLife.  Furthermore, he is an active member in the Newton-Needham Chamber of Commerce, the Associate General Contractors of Massachusetts, the United States Green Building Council, the Best Practices Study Group at Babson College, and the Entrepreneurs Organization. He is also the loving owner of a cockapoo named Lucy, and despite all his work in the community and at CCI, he will still proudly tell you that she is one of his most fulfilling (and difficult!) commitments. Pam helped found CCI and is currently the vice-president of the company. Prior to founding CCI, Pam spent several years in commercial banking, honing skills that proved invaluable in starting a commercial construction company. At CCI, Pam is involved in many aspects of the organization, but she concentrates on developing relationships with clients, architects and vendors, as well as the recruitment and retention of company employees. Pam is an active member of the CREW Boston chapter, where she is a Director and co-chairs the Membership, Housing and Community Development Committee and the Entrepreneur Exchange Committee. She is also a Director of the Associated General Contractors of Massachusetts, where she sits on the Workforce Development Committee. Pam is active in the Newton Needham Chamber of Commerce and participates in its Women in Networking Committee, and she volunteers for a number of other organizations in her community. Bob is one of CCI’s most experienced employees. He has been in the construction business for decades, working with several different general contractors in the Boston area. Today, he is a project manager and CCI’s only estimator, which makes him a key player in any bid process. Bob’s interests outside of work include reading, fishing, and gardening. He briefly took up carpentry, but quickly decided that he got enough of that sort of thing at work. He is the proud owner of a beautiful Bichon Frise named Jazz (though, interestingly, Bob is not a fan of jazz music—he prefers rock). Bob has worked on most of CCI’s major projects, most notably the Renaissance Clubhouse construction. His experience and expertise shone through on that project, as he successfully navigated a series of permitting issues and delays with a steady hand, and ended up creating a clubhouse that was nominated for Golf Inc. Magazine’s prestigious Clubhouse of the Year Award.